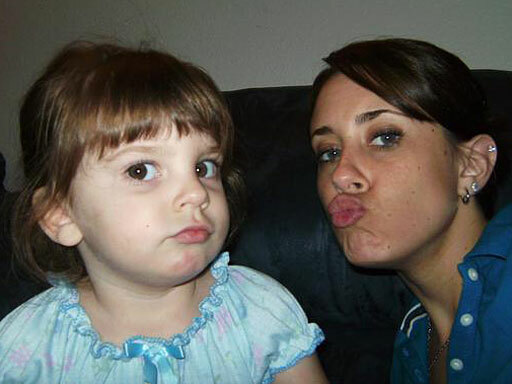 ORLANDO, Fla. (CBS/AP) Casey Anthony's defense attorneys could face sanctions and a $500-a-day fine for violating a court order, the judge in the capital murder case said Monday during a hearing for the Florida mother accused of murdering her 2-year-old daughter Caylee in 2008. Circuit Judge Belvin Perry said that Anthony's attorneys missed a deadline last month to turn over information about expert witnesses who will testify on her behalf, saying that he found that attorney Jose Baez was in "willful violation" of the court's order. Prosecutors had asked that the attorneys be fined $500 a day until they provided the information. But the judge says they will have to pay an amount to be determined later. In asking for sanctions against the defense, Assistant State Attorney Jeff Ashton said "the defense has been in willful disobedience of the court's orders throughout the history of this case," citing several examples going back months. "This court's orders mean nothing to them," Ashton said, according to the Orlando Sentinel. The judge also ordered that the experts must provide written reports about what they will say at trial. Anything not in the reports or in depositions will not be allowed at the May trial. In issuing his rebuke against the defense Judge Perry likened a criminal trial to a poker game in which all the cards held by the prosecution and defense get shown before play begins. "Everybody should know what everybody has in their hands," Perry said, according to the Sentinel. Perry said discovery rules are in place to prevent "trial by ambush" or "trial by surprise." Defense attorney Cheney Mason said sanctions were inappropriate, saying that the defense team had been working hard on a "remarkably time-consuming event . . . We're doing what we can," the Sentinel reported. Decisions on almost two dozen other motions were postponed until a later date to give prosecutors a chance to respond and time for the judge to hold a hearing. The motions include ones asking Perry to exclude testimony about Anthony's sexual relationships with two men and others dealing with forensic evidence. Anthony is jailed on first-degree murder charges in the death of her daughter, Caylee, whose remains were found in December 2008. Caylee was 2 years old when she was reported missing by her maternal grandmother in July of that year. Anthony has pleaded not guilty and maintains that Caylee was abducted by her babysitter. The trial is scheduled to begin in May.